Thank you for your interest in our practice! We appreciate you giving us the chance to participate in your healthcare. Your first appointment as a new patient at Family Care is considered a New Patient Consultation, during which we review your prior medical history, cover any acute problems you may be having that day, and develop a plan for your future medical care. To be sure your first visit goes smoothly, please read and follow the four steps below to register as a new patient and establish primary care at our office. If you have any questions regarding our new patient registration process, please contact our office prior to completing our paperwork. Currently, Frankee Rodriguez, NP and Sarada Schossow, PA-C are accepting our new patients. Step #1 – Verify Family Care as an In-Network Provider With Your Health Insurance. To avoid going through the entire process only to find out that Family Care is not in-network with your insurance plan, please check out our instructions to follow when choosing a primary care provider. If you do not have insurance, please check out our discounted price listings for uninsured and out-of-network patients prior to scheduling your visit. After you have considered your insurance coverage and are ready to become a new patient at our office, please continue to Step #2 and schedule a new patient appointment. You can verify we are in-network with your insurance plan by visiting the BCBS Provider Directory. We do NOT accept Blue Local. You can verify we are in-network with your insurance plan by visiting the Cigna Provider Directory. You can verify we are in-network with your insurance plan by visiting the United HealthCare Provider Directory. Step #2 – Schedule your New Patient Consultation. At some point during the process, you will need to contact our office to schedule an appointment. We have several convenient ways for you to schedule your appointment, so please choose one of the following options. Call our office at 919-544-6461. Complete our online new patient registration form. Send an email to appointments at familycarepa dot com. Visit our office at 1413 Carpenter Fletcher Rd, Durham, NC, 27713. Please visit our Appointments page for more details on what is included with a New Patient Consult. 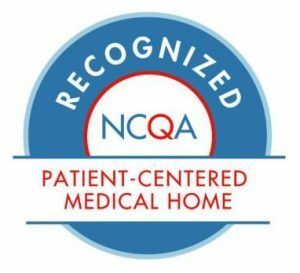 Step #3 – Complete Our New Patient Paperwork. The following pages are included in the downloadable PDF file for our new patient paperwork. A signed copy of each agreement is required prior to your first visit to Family Care. You can submit the files in a PDF via email, print them out and bring them with you to your first visit, or arrive 15 minutes early to your appointment and complete them in our office. Step #4 – Request Previous Records. We do not require your previous medical records before your first appointment, but we would like to have documentation from your previous medical history. You can download our records transfer form, or request one to fill out in our office. We do not perform annual wellness exams / physicals during your first visit to our office. You may set up your annual physical exam for your second appointment, usually within a week of your New Patient Consultation.